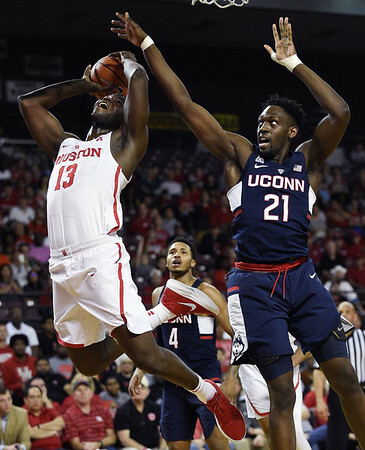 STORRS - UConn sophomore forward Mamadou Diarra underwent surgery Monday in Farmington to repair a torn meniscus in his left knee. Diarra’s in-jury occurred during workouts last week. An MRI revealed the torn meniscus. Diarra’s rehab is expected to be between 4-6 months. That timetable could have him returning from the start of the season in November to late December, when the season resumes after fall exams. Diarra is in the mix in for minutes in the frontcourt along with sophomores Josh Carlton and Isaiah Whaley, grad transfer Kassoum Yakwe from St. John’s and seniors Eric Cobb and Kwintin Williams. Also in the group are small forwards Tyler Polley, a sophomore, and freshman Sidney Wilson. Posted in New Britain Herald, UConn on Tuesday, 17 July 2018 14:45. Updated: Tuesday, 17 July 2018 14:48.